We have been offering the home and company residents of Furzedown SW17 with a specialized end of tenancy service since 2005. Excellent Carpet Cleaning is recognised as a major and top recommended end of lease cleaning company by a growing number of pleased clients in the location. Through the many years, we have developed a detailed tenancy cleaning checklist, that could be accepted by a wide variety of estate agencies, landlords and property managers, structured on their own specifications and control of the final results of the cleaning at the end of your tenancy that they do before giving their bond back to you. The move out cleaning service is ideal for: tenants, landlords, agencies, as well as for people who are purchasing or offering a property or home in the location. A staff of knowledgeable cleaners will arrive at your property after you have relocated your belongings, and will start cleaning every area through top to bottom in compliance to the pre-accepted tenancy cleaning checklist. There is no time period for this kind of service, so each of our team of cleaning operators will remain until almost every deep cleaning task has been done and checked off the cleaning checklist. They have all of the products, resources and cleaning solutions needed to offer a high quality one off cleaning service. We offer a forty eight customer satisfaction guarantee for this certain cleaning service, so in case you are a property owner or property manager and you may have a issue, we will return and re-clean the property for free! To ensure you do not get your rent deposit withheld for cleaning rates, book our expert and high quality assured end of tenancy service today! Call 020 3404 0500 or you can send us an online request utilizing the website contact form here. Our customer care team is available for you 24 hours a day. You will receive verification in 2 hours. There is no deposit required for reservation. The rate is set, with no hidden charges. 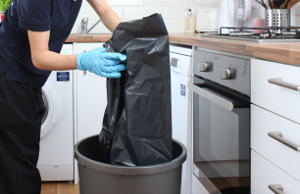 We are able to do an emergency, same-day end of tenancy cleaning. Or else, we are available 365 days per year. The earlier you reserve our service - the better the price will be!